Seeing as the Volkswagen Tiguan had a massive redesign for its 2018 model, it shouldn’t surprise anyone that Volkswagen didn’t see fit to reinvent the wheel so soon after its previous debut. That means the 2019 Volkswagen Tiguan SUV functions as a holdover, but one that’s just as impressive as its 2018 model with a few additional features added for the new year. Why mess with a good thing? We don’t know what the future will bring for the VW Tiguan model, but for now, let’s see how the rest of the market is treating it. For our comparison today, we’ve chosen another SUV model of note, that being the Nissan Rogue. Let’s see if the returning Volkswagen Tiguan is up to the challenge. It’s the 2019 Volkswagen Tiguan vs the 2019 Nissan Rogue! 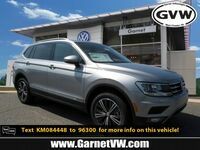 Find Your Volkswagen Tiguan Match! 6 yr. / 72,000 mi. Standard Warranty 3 yr. / 36,000 mi. 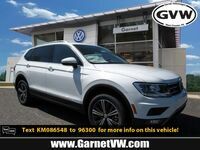 The 2019 Volkswagen Tiguan can be found wherever Volkswagen models are sold and is one of our best sellers along with the Atlas here at the Garnet Volkswagen dealership. 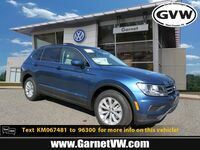 Please feel free to browse our online inventory to view the full scope of available VW models for sale. Furthermore, contact us if you any additional questions, concerns, or are in need of automotive assistance. 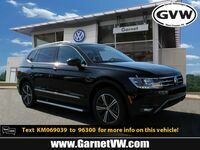 The Garnet VW staff can be reached online, by phone, or with a visit to our dealership located in West Chester, Pennsylvania.